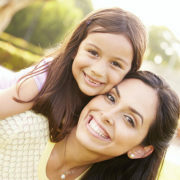 Our Signature Treatment kills lice and eggs in a single treatment. Traditional drug store products no longer work because Super Lice are pesticide resistant. We have performed over 350,000 treatments with less than a 1% re-treatment rate. * Get the facts. Having children, we have all encountered those little bugs that are difficult and time consuming to get rid of! I was thrilled to find Lice Clinics of America on-line and called them up immediately after the school nurse gave me a ring to tell me the kids had lice We went immediately and I was impressed with the service provided. It was the easiest, quickest, most convenient experience! The ladies were so friendly, knowledgeable and helpful with tips! I will NEVER try and handle the lice situation on my own ever again! My family and I would have been lost if it hadn’t been for this clinic. The treatment was effective and the customer service was excellent. They went above and beyond to ensure that my girls were well taken care of. I can’t say thank you enough. 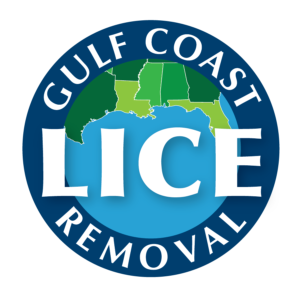 At Gulf Coast Lice Removal we provide safe head lice treatment for those in Baldwin County, Mobile, and along the Gulf Coast. If you are suffering from pediculus humanus capitis you know the frustration caused by the condition, and how it can disrupt your life. When in search of a one treatment solution, look no further! Our clinic provides a variety of options, including the AirAllé system that works to dry out and kill those pesky bugs and their eggs (nits) using heated, directed air. When you are looking for a nit removal shampoo, you will come across various products in retail and drugstores claiming to provide relief. Unfortunately, many of the traditional products used for decades not only are ineffective against today’s tougher strains of nits, but also contain potentially harmful chemicals such as insecticides. We take a more natural approach, whether you decide to have treatment performed in our clinic or do it yourself at home with our pesticide free products and tools. Our full service Signature Treatment provided in our salon is proven effective, making it possible for you to avoid the mess, stress, and hassle of using OTC products while reaching the result you expect. It only takes one treatment and does not require at home combing or a follow-up visit. At Gulf Coast Lice Removal, we invite anyone along the Gulf Coast region in search of effective, non-toxic and fast lice treatment and removal to contact us today at 251-660-4312.